Hemet Golf Club at the Four Seasons. 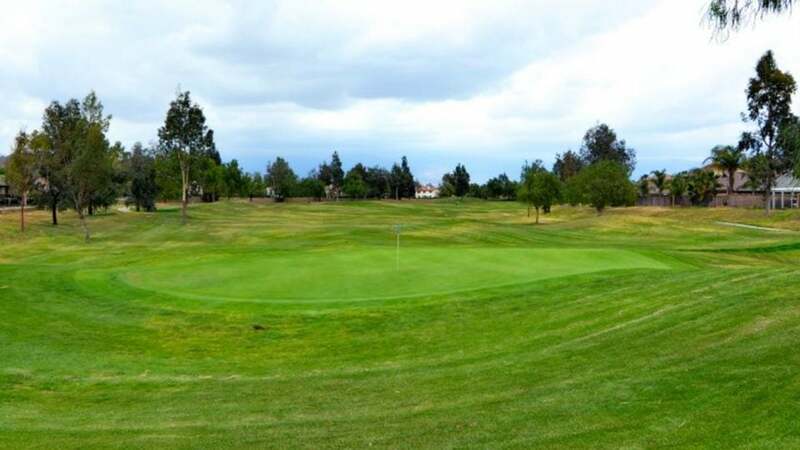 A 47-year-old man is expected to survive after he was struck in the leg by an errant bullet while playing golf at Hemet (Calif.) Golf Club at the Four Seasons on Wednesday, according to The Press Enterprise. The bullet was believed to be fired from the hills surrounding the course. Those on the scene heard what sounded like gunfire in the area around the course in the hours before the man was shot. The victim was shot around 6 p.m. As of Wednesday evening, the shooter had yet to be found. The Four Seasons at Hemet is an adult community in Southern California. According to its website, its course sits at the base of the mountains of San Jacinto.